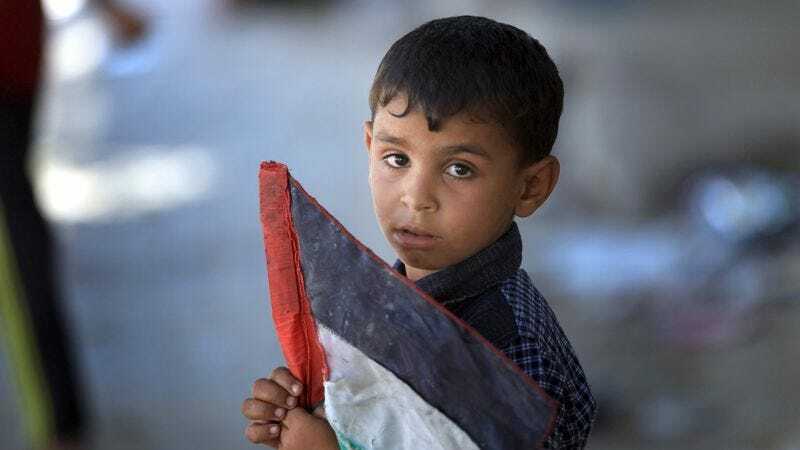 GAZA CITY—As civilian casualties continue to mount amid the escalating conflict along the Gaza Strip, 8-year-old Palestinian boy Walid Suleiman expressed both joy and astonishment Monday that he has yet to be killed in an Israeli military attack. “Boy, I thought I’d be dead by this past Saturday for sure, but amazingly enough, here I am,” said Suleiman, adding that he is “pleased, but pretty shocked” not to be among the estimated 100 Palestinians left dead by widespread Israeli airstrikes in the region over the past six days. “I’d have bet you anything that by today they’d have already dug my corpse out from underneath a giant pile of rubble and buried me alongside the rest of my family. Guess I won the lottery, eh?” At press time, incoming Israeli aircraft could be heard swiftly approaching as Suleiman limped back to his home.